We are so excited that the Sewing Bee is returning to our TV screens on 12th February. 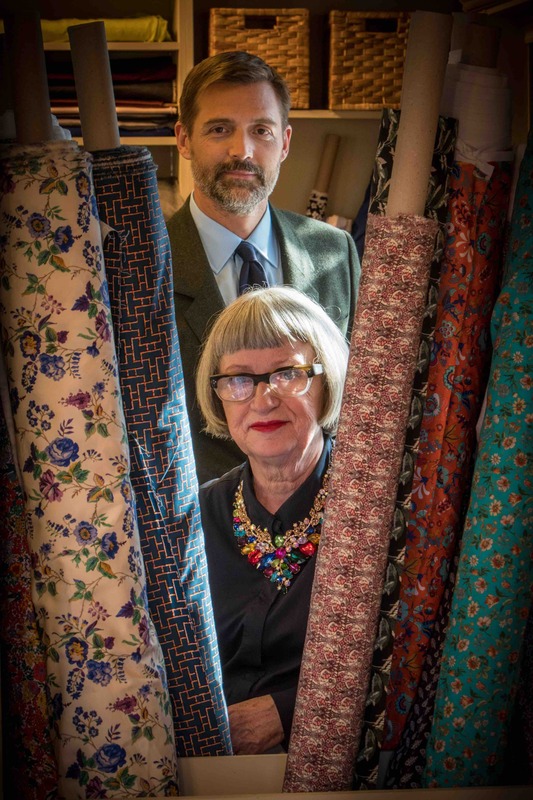 This will be the fifth series of the BBC Two show and 10 new contestants will compete to be crowned the best home sewist. Each week there will be three challenges to complete, sewing different garments using a range of fabrics. 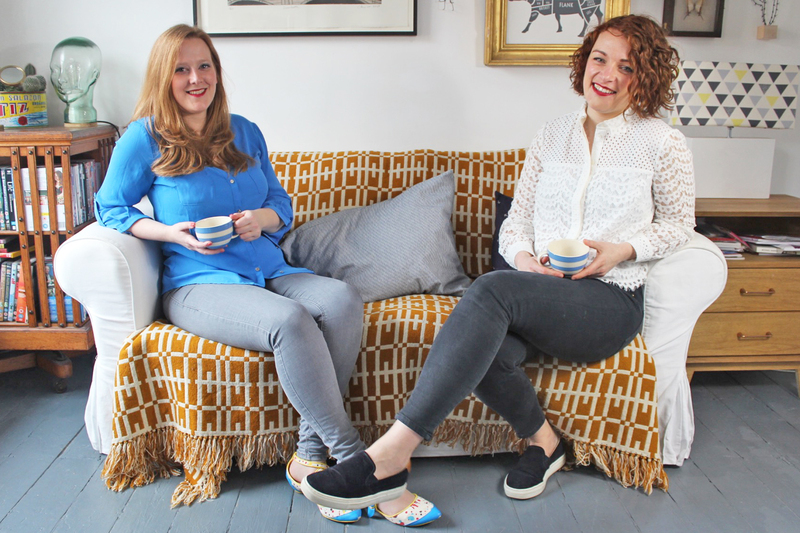 We will be bringing you all the news and lots of inspiration from the Sewing Bee each so make sure to check back! 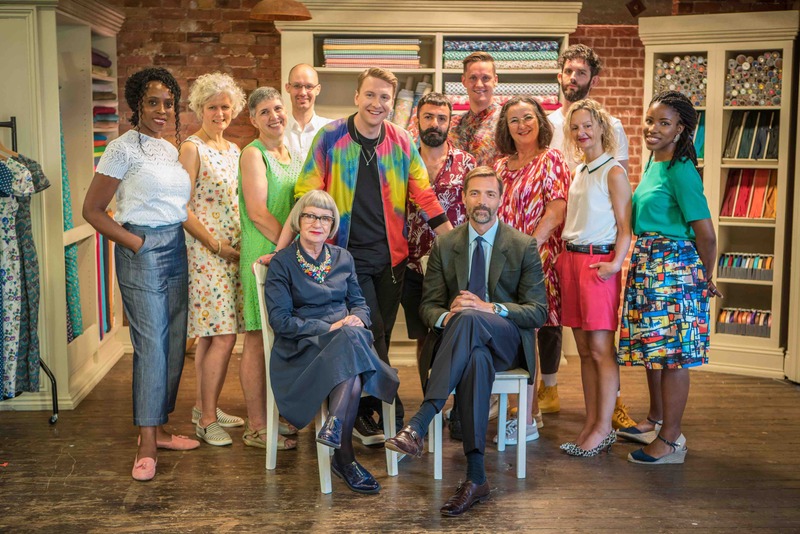 When does The Great British Sewing Bee series 5 air on BBC Two? The Sew Bee starts on Tuesday 12th February on BBC Two at 9pm and there will be eight episodes. Hopeful contestants for the Sewing Bee applied in April 2018 and Esme Young posted on her Instagram account that we can expect to watch the first sewing bee episode on the 12th February. 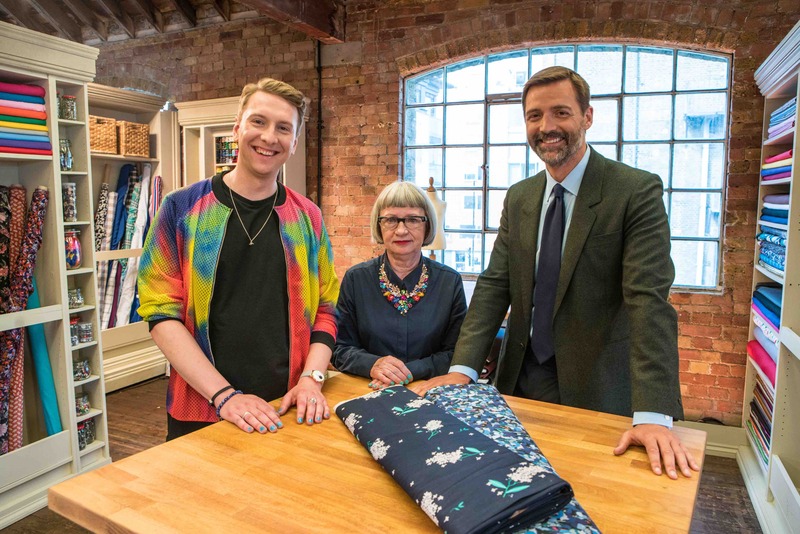 We were so excited to see a glimpse of what we can expect from series 5 of the sewing bee in the trailer for the new series shared by Joe Lycett on his Twitter. Watch it here! The trailer for the new series was shared by Joe Lycett and you can watch it below. Every week on the blog we will be posting all the details of each sewing bee episode along with pattern ideas. You can find details of all episodes in our Sewing Bee series 5 guide here. We will also be sharing special sewing bee vlogs each week about the episodes. Visit our blog to keep up to date with all the sewing bee news, subscribe to our YouTube channel for weekly vlogs and sign up to our newsletter for inspiration delivered straight to your inbox. New to dressmaking and sewing? If the Sewing Bee has inspired you to take up sewing for the first time, head over to read our top tips for getting started with dressmaking. We’ll also be sharing our top 10 sewing patterns for absolute beginners soon! We’ll be nattering about all things Sewing Bee each week in our friendly Facebook group after the show has finished. Come join the fun and share your thoughts on the challenges and how well the contestants did! Visit our blog to keep up with all the details of each sewing bee episode and subscribe to our YouTube channel for special vlogs and newsletters. We’ve shared all the details of the sewing bee contestants over on our dedicated page for series 5, take a look here. 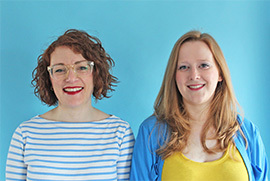 You can find where to follow them on Instagram and read their sewing blogs. 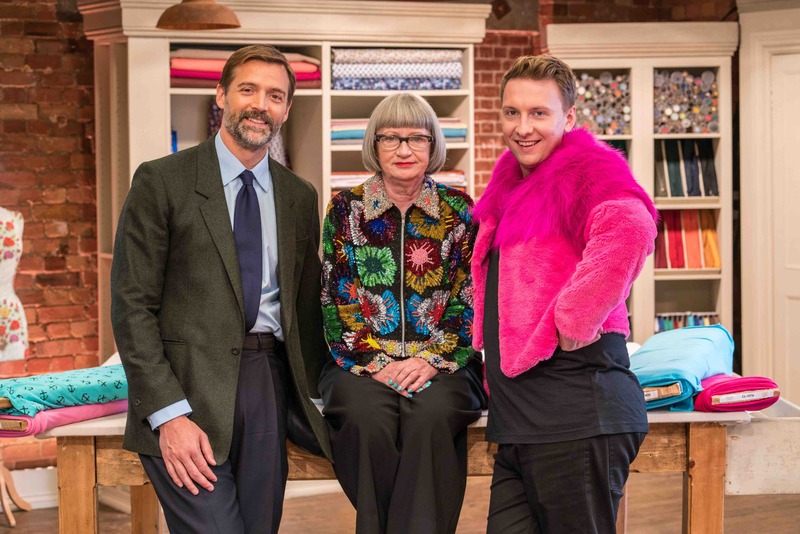 Who are The Great British Sewing Bee judges for 2019? In April 2018 comedian Joe Lycett was announced as the replacement for judge Claudia Winkleman on BBC2’s sewing bee show. Joe Lycett is a comedian and you might recognise him from TV shows such as 8 Out of 10 Cats, Celebrity Juice, Never Mind the Buzzcocks, Taskmaster or as a guest on BBC Radio. He joins existing judges Patrick Grant and Esme Young as a new host on the TV series. Find out all about the judges for the Sewing Bee over on our dedicated guide to series 5! What is the Sewing Bee? The Sewing Bee is a TV series on BBC TWO about dressmaking. In every episode, the 10 contestants attempt to sew three garments as they battle to stay in the competition. They use a range of fabrics and patterns to produce outfits using patterns or up cycling old clothes. At the end of each episode one contestant is voted out by the judges. The overall winner of the TV show is announced as Britain’s best sewist. If you can’t wait for the new series to start, why not catch up on all the Great British Sewing Bee episodes from series 4 and see our sewing pattern suggestions, meet the previous sewing bee contestants, read GBSB book reviews and much more! The Sewing Bee is shown on BBC TWO and this is only available in the UK. It’s also shown on BBC player after the show has aired for a couple of weeks on their catch up service. Really TV Channel is playing repeats of previous series from 7th February 2019. We’re really sorry to all our international makers who want to watch the series but it’s not aired on TV outside the UK legally. Disclaimer: Please note that this page about The Great British Sewing Bee is not linked to or endorsed by the BBC programme/Love Productions. Where images are not our own they remain the copyright of the author.